Tomorrow, all over our country, people will be celebrating Veterans Day. Here at MHJ Insurance, we are thankful for the freedoms we have as Americans and we are keenly aware that freedom is not free! Without the dedication and patriotism of those who serve and perhaps put themselves in harm’s way, those freedoms would quickly go away. 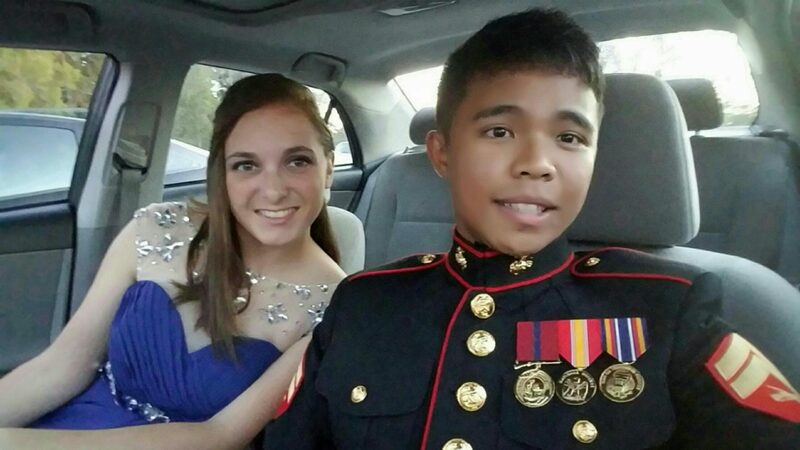 Pictured is Ruth Ann Moffitt’s granddaughter Natalie and her husband, Joe, on their way to the US Marine Corps Birthday Ball. Thank you to Natalie and Joe for their service and also here at MHJ, we are proud and thankful for the service of Vietnam War veterans Max Patterson and Ed Barger! Look for a Veterans Day event tomorrow or simply find a veteran friend or relative of yours and thank them for their service to our country.